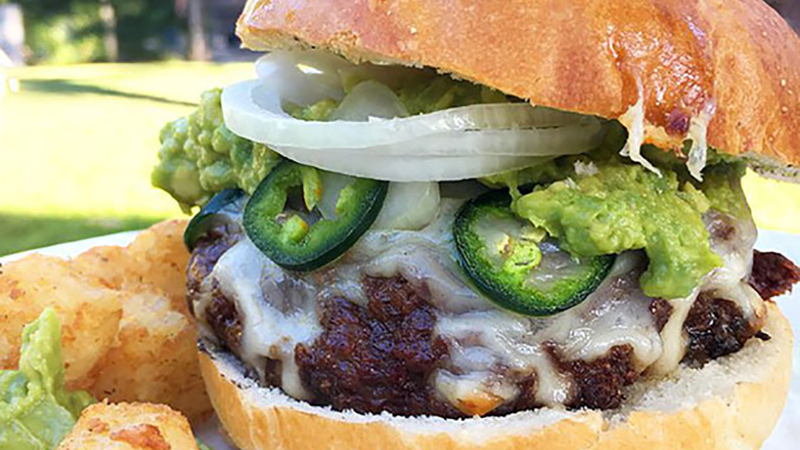 This recipe for antelope venison jalapeño burgers with guacamole is so tasty, you might just find yourselfasking for seconds. 1. Prepare guacamole by adding chopped avocados to a bowl and mash with a fork until semi-smooth. Add salt and garlic powder, and mix together. Cover guacamole with plastic wrap and place in refrigerator until antelope venison burgers are ready. 2. In a large bowl add antelope venison burger, breadcrumbs, egg, garlic powder, cumin powder and chili powder. Using your hands, gently mix together. Add shredded cheese and continue to mix with your hands until cheese is evenly distributed. Cover with plastic wrap and place in refrigerator for 30 minutes. 3. Remove prepared antelope burger meat from the refrigerator. 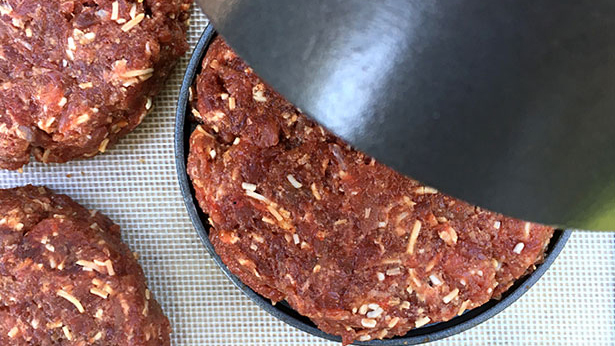 To get a perfect quarter-pound burger patty, I divided the ground antelope meat equally into four baseball-sized balls and used my Weston Burger Press. I’m being totally honest when I say that I love this gadget for making the perfect-sized patties. It makes a world of difference when you want to ensure burgers stay together and cook evenly. 4. After you are done forming your antelope burger patties, place them on a hot, well-seasoned grill. Grill for about 4 to 5 minutes. Turn burgers and continue to cook on the other side until done. Top each one with a slice of Monterey Jack cheese and jalapeños. Editor’s note: Cooking times may be different depending on grill temperature and the type of grill you use. 5. Remove antelope venison burgers from grill, garnish with guacamole and sliced onion. Enjoy! For more antelope venison recipes, please visit NevadaFoodies.com.